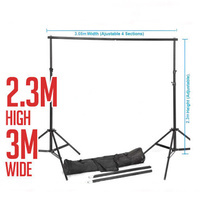 The Fotoprime Super Boom Stand is a serious addition to any photographer's studio setup. 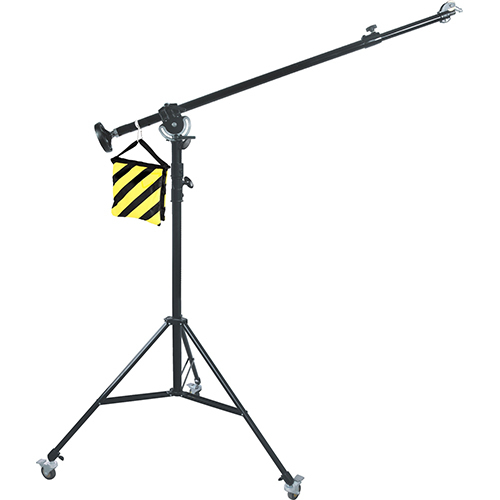 The stand reaches 2.1m tall, with a boom arm extending to 2.3m, and a max load of 8.0kg. 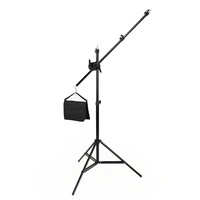 The Fotoprime Super Boom Stand is a serious addition to any photographer's studio setup. 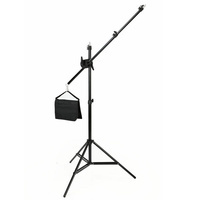 The stand reaches 2.1m tall, with a boom arm extending to 2.3m, and a max load of 8.0kg. 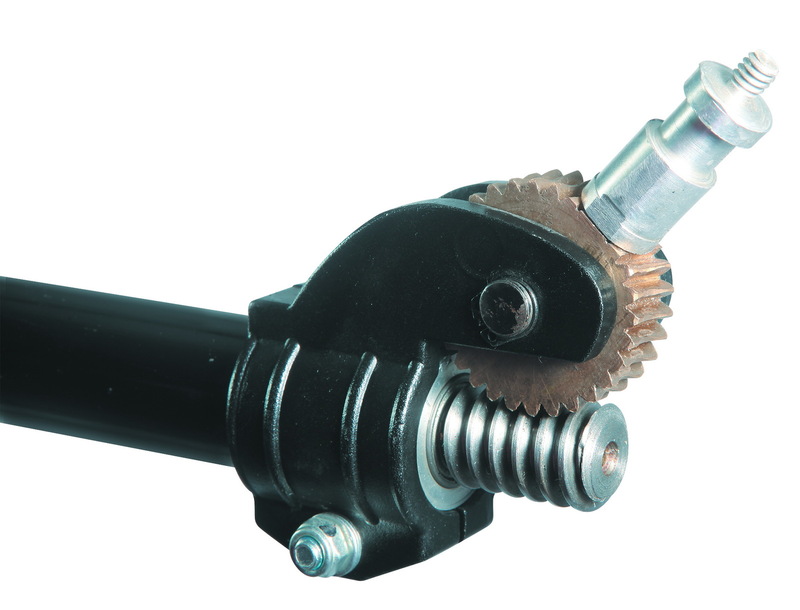 The wheel mechanism on the rear of the arm allows for tilting of the flash head without having to retract the arm. 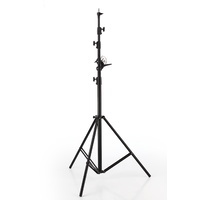 Perfect for monoblock heads with large rectangular or octagon softboxes attached, this stand will allow you to get your flash up and over your subject in a convenient and safe manner. 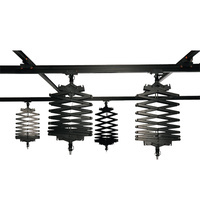 The counterweight included allows for easy counterbalancing to ensure rock-solid reliability while in use. 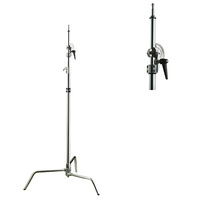 Our biggest boom stand in dimensions and weight. 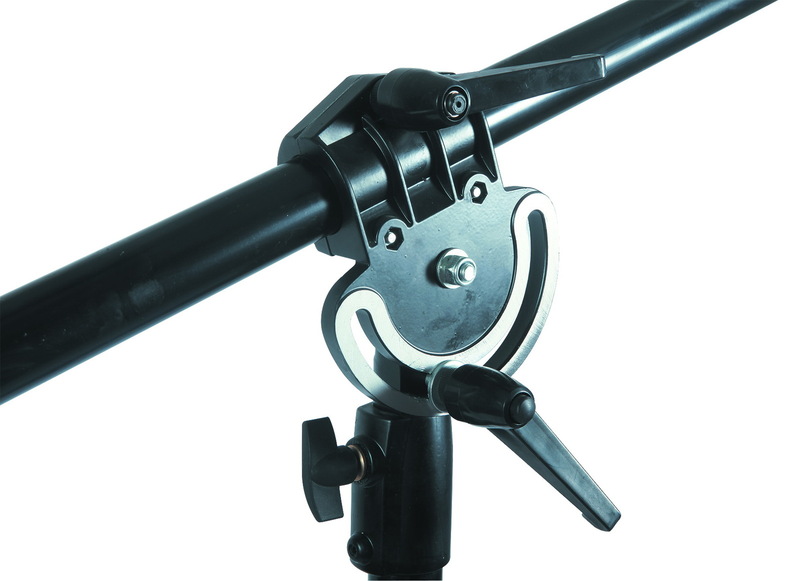 Tilting head adjustable with wheel at the end of arm. 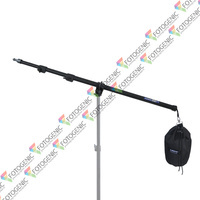 This allows you to adjust the tilt of the light or camera when boom stand is high up. 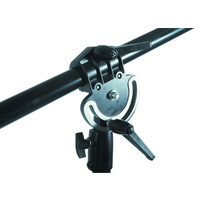 Tilt-head mechanism for controlling the angle of your flash. 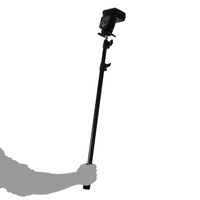 Comes with sand bag to counteract the weight. 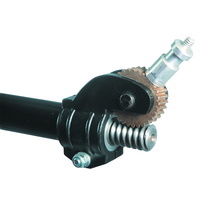 Fast and fantastic service! 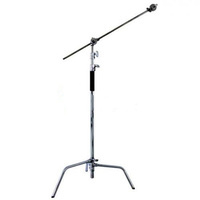 The stand came with a random handle, staff followed up with the supplier and got back to me within days. 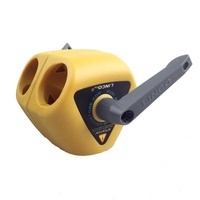 I’ve used these guys a couple of times now and they have been brilliant... great communication and products are of good quality.